RAMALLAH (Ma’an) — At least 330 Palestinians have been detained since the Muslim holy month of Ramadan began on June 6, according to a statement released Saturday by the Palestine Prisoners’ Center for Studies, which said that the detentions reflected Israel’s disregard for the sanctity of the holiday.Spokesperson for the center Riyad al-Ashqar said that Israeli forces detained hundreds, including women, children, the elderly, people suffering from various illnesses, formerly released prisoners, and fishermen in the Gaza Strip.An entire family was detained from the village of Qusra in Nablus: Khawla Badawi Hasan, her daughter Muna and her son Mutasem were detained on Monday, two days after her husband Khalil Abed al-Haq Hasan, 57, and their son Muhammad were detained. More than 60 children have been detained since the beginning of Ramadan, including 10-year-old Marwan al-Sharabati from Hebron City, who was assaulted and detained on Hebron’s al-Shuhada Street, according to the statement. More than 21 women and girls were detained according to the center, including three mothers of prisoners. Fawziya Ali Awwad, 42, mother of prisoner Moussa Awwad from Bethlehem, was detained while visiting her son in Israel’s Ktziot prison in the Negev. Wafaa Salim Syuri, 46, from Hebron and mother of prisoner Samer Syuri, was detained when she appeared to meet with Israeli intelligence after being summoned. 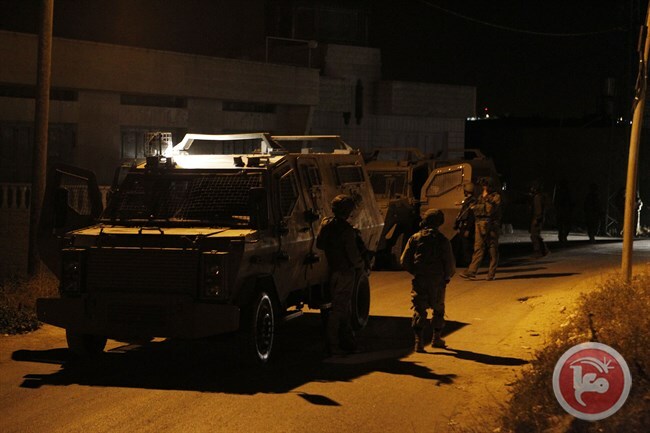 Ibtisam Faleh Dweikat, 50, from Qalqiliya, the mother of prisoner Ammar Dweikat, was detained after Israeli forces raided and searched her home. Among some of the elderly Palestinians detained from across the occupied West Bank were Muhammad Khalil Zeidat, 73, and his son Moussa, 50, from Hebron. The statement highlighted the detentions of Palestinian journalist Adib Barakat al-Atrash and academic Dr. Adnan Abu Tabbaneh who were detained from Hebron in the southern occupied West Bank.Israeli forces also raided the house of Palestinian Legislative Council member Samir al-Qadi, summoning him to meet with the Israeli intelligence for interrogation.Israeli forces continued detaining Palestinian fishermen from the Gaza Strip, with a reported total of 13 detained during Ramadan who were taken to the Israel’s nearby Ashdod port.Head of the Gaza office for the humanitarian organization World Vision International Muhammad al-Halabi was detained at the Erez crossing on Wednesay. A merchant, Ayat Allah Ali Sarhan, 37, was also detained at the crossing and both were taken to Ashkelon prison. Israeli forces also issued life sentences to six Palestinian prisoners over the course of the month.Amjad al-Eiwi, Yahya al-Hajj Hamad, Karam al-Masri, and Samir Qoussa — all from Nablus — each received two life sentences and an additional 30 years in prison on Wednesday for their alleged involvement in the killing of two Israeli settlers in October. Maher Hamdi al-Hashlamon from Hebron was issued four life sentences after being accused killing an Israeli and injuring others in November 2014. Shadi Ahmad Mutawe, also from Hebron, was issued three life sentences for carrying out an attack that killed two Israeli settlers and injured one other in November last year. Israeli authorities meanwhile continued targeted campaigns against political prisoners, as dozens of prisoners affiliated with the Popular Front for the Liberation of Palestine (PFLP) were moved from the Megiddo prison as punishment for supporting prisoner Bilal Kayid, who began a hunger strike earlier this month for being issued an administrative detention order after finishing a 14.5-year prison sentence.The holy month of Ramadan is anticipated by Palestinian Muslims as a time of relative calm and respite, however this year’s holiday has been marked by widespread detention campaigns, housing demolitions, a crackdown on the right to movement, and increasing restrictions in the Al-Aqsa Mosque compound in occupied East Jerusalem’s Old City, where Palestinians were also the target of racist verbal abuse from thousands of Israeli extremists on the eve of Ramadan. 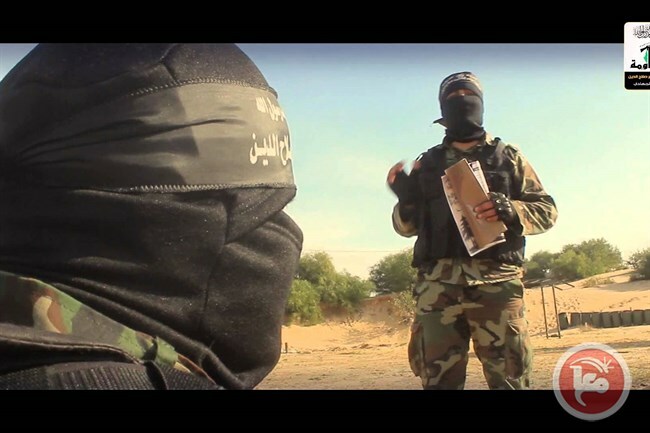 GAZA (Ma’an) — The Palestinian Popular Resistance Committees released a statement Saturday, marking the 10th anniversary of operation al-Wahm al-Mutabadid — operation “Fading Illusion” in English — in which Hamas militants kidnapped Israeli soldier Gilad Shalit, applauding those who took part in achieving the infamous prisoner exchange.The 19-year-old Israeli soldier was kidnapped by Hamas on June 25, 2006 after Hamas entered Israel through underground tunnels, and was held by Hamas for more than five years in the Gaza Strip.In October 2011, the soldier was released from Hamas’ custody following an agreement between Israel and Hamas to release Shalit in exchange for more than 1,000 Palestinian prisoners held in Israeli prisons.However, since their release, Israel has initiated mass detention campaigns to bring hundreds of former prisoners released in the exchange back into Israeli custody.“The heroes of the Fading Illusion operation, in addition to the martyrs who contributed to detaining Shalit afterwards, and achieving the prisoner exchange deal, have written a history of dignity and pride for the Palestinian people,” the statement read, adding that the prisoner exchange served to create a sense of “joy and victory for [Palestinian] prisoners.”The committees also encouraged Palestinians to develop a unified strategy to support Palestinian prisoners, while expressing their solidarity with all hunger-striking prisoners and the plight of Bilal Kayid— a PFLP-affiliated prisoner who has become a central focus for a mass hunger strike throughout Israeli prisons after he was sentenced to six months of administrative detention upon completing a 14-year prison sentence.According to prisoner’s rights group Addameer, there are currently 7,000 Palestinians currently held in Israeli prisons. BETHLEHEM (Ma’an) — Turkish President Tayyip Erdogan met with Hamas leader Khaled Mashaal on Friday in the Turkish city of Istanbul, amid ongoing negotiations between the Turkish president and Israeli leaders to normalize ties between the two countries, according to various media sources.Erdogan and Meshaal reportedly discussed strategies of easing humanitarian issues for Palestinians, specifically in Gaza, and ways to reconcile political differences between Hamas and Fatah — two of Palestine’s largest political factions. 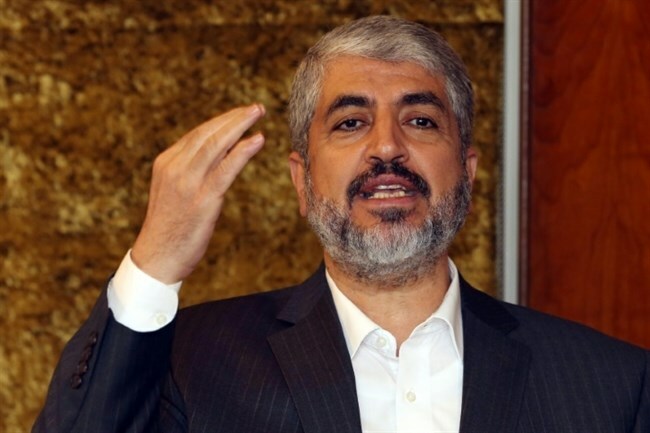 However, no sources reported any discussions between Erdogan and Meshaal on Turkey’s expected political normalizations with Israel during the meeting.An agreement between Turkey and Israel is expected to be finalized on Sunday, which would see the two countries resume their political relationship following an Israeli attack six years ago on the Turkish ship Mavi Marmara — the first Freedom Flotilla — that was attempting to deliver much-needed humanitarian aid to the besieged Gaza Strip.Part of Israel’s precondition to normalize ties with Turkey is for the president to oust Hamas from the country and shut down an alleged command unit used by Hamas in Istanbul, Israeli media reported.However, the request was reportedly refused by Erdogan, while he reiterated the government’s longstanding denial of the existence of a Hamas command unit in operation in the country. According to Israeli media, under the ongoing negotiations, Turkey has demanded that Israel lift the near decades-long siege on Gaza. However, Israel has continuously refused the stipulation. It is expected, instead, that Israel could allow Turkey to transfer aid to Gaza via the Ashdod port in southern Israel, while permitting authorities to build a hospital in the besieged enclave and construct a power and desalinization plant. Turkey has also reportedly demanded an apology from the Israeli government for the attack on the Freedom Flotilla, and requested compensation for the incident. The Gaza strip has suffered an Israeli military blockade since 2007 when Hamas was elected to rule over Gaza. The UN has warned that unless current trends are altered, Gaza could become uninhabitable for residents in just five years. “The social, health and security-related ramifications of the high population density and overcrowding are among the factors that may render Gaza unlivable by 2020,” the UN’s development agency said last year. Israeli and Turkish negotiators will meet on Sunday in Rome, aiming to reach an agreement on normalising relations after the two countries fell out six years ago, sources said. Previously, the discussions had been expected to take place in Turkey. If an agreement is reached, it would go before Israel’s security cabinet for approval on Wednesday, according to media reports and an Israeli official who requested anonymity. Analysts say it is very likely that an agreement will be concluded on Sunday. A meeting between Israeli Prime Minister Benjamin Netanyahu and US Secretary of State John Kerry is also expected on Sunday in the Italian capital to discuss the state of Israeli-Palestinian peace negotiations. Once-tight relations between Israel and key NATO member Turkey were significantly downgraded after Israeli commandos staged a deadly pre-dawn raid on a six-ship flotilla in May 2010 as it tried to run the blockade on Gaza. Two of Turkey’s key conditions for normalisation – an apology and compensation – have largely been met, leaving its third demand, that Israel lift its blockade on the Hamas-run Gaza Strip, as the main obstacle. According to the Turkish daily Hurriyet, the two sides have reached a compromise whereby Turkey would send aid for Palestinians via the Israeli port of Ashdod rather than directly to Gaza. When asked directly about his own feelings on recognizing the State of Palestine, Friedman was open, if tentative. “If the Israelis conclude that they need to do this [recognize the Palestinian state] in order to enhance their long-term security – which I think we are very skeptical about – but if this is what they conclude they want to do, we will respect this decision…. If the circumstances change… and there is a reason to be optimistic, then great, but the current facts don’t make that [recognizing the Palestinian state] an American imperative at all.” he said. Entire communities in the West Bank either have no access to water or have had their water supply reduced almost by half.This alarming development has been taking place for weeks, since Israel’s national water company, “Mekorot”, decided to cut off — or significantly reduce — its water supply to Jenin, Salfit and many villages around Nablus, among other regions.Israel has been ‘waging a water war’ against Palestinians, according to Palestinian Authority Prime Minister Rami Hamdallah. The irony is that the water provided by “Mekorot” is actually Palestinian water, usurped from West Bank aquifers. While Israelis, including illegal West Bank settlements, use the vast majority of it, Palestinians are sold their own water back at high prices.By shutting down the water supply at a time when Israeli officials are planning to export essentially Palestinian water, Israel is once more utilizing water as a form of collective punishment.This is hardly new. I still remember the trepidation in my parents’ voices whenever they feared that the water supply was reaching a dangerously low level. It was almost a daily discussion at home.Whenever clashes erupted between stone-throwing children and Israeli occupation forces on the outskirts of the refugee camp, we always, instinctively, rushed to fill up the few water buckets and bottles we had scattered around the house.This was the case during the First Palestinian Intifada, or uprising, which erupted in 1987 throughout the Occupied Palestinian Territories.Whenever clashes erupted, one of the initial actions carried out by the Israeli Civil Administration — a less ominous title for the offices of the Israeli occupation army — was to collectively punish the whole population of whichever refugee camp rose up in rebellion.The steps the Israeli army took became redundant, although grew more vengeful with time: a strict military curfew (meaning the shutting down of the entire area and the confinement of all residents to their homes under the threat of death); cutting off electricity and shutting off the water supply.Of course, these steps were taken only in the first stage of the collective punishment, which lasted for days or weeks, sometimes even months, pushing some refugee camps to the point of starvation.Since there was little the refugees could do to challenge the authority of a well-equipped army, they invested whatever meager resources or time that they had to plot their survival.Thus, the obsession over water, because once the water supply ran out, there was nothing to be done; except, of course, Salat Al-Istisqa or the ‘Prayer for Rain’ that devout Muslims invoke during times of drought. The elders in the camp insist that it actually works, and reference miraculous stories from the past when this special prayer even yielded results during summer time, when rain was least expected.In fact, more Palestinians have been conducting their prayer for rain since 1967 than at any other time. In that year, almost exactly 49 years ago, Israel occupied the two remaining regions of historic Palestine: the West Bank, including East Jerusalem, and the Gaza Strip. And throughout those years, Israel has resorted to a protracted policy of collective punishment: limiting all kinds of freedom, and using the denial of water as a weapon.Indeed, water was used as a weapon to subdue rebelling Palestinians during many stages of their struggle. In fact, this history goes back to the war of 1948, when Zionist militias cut off the water supply to scores of Palestinian villages around Jerusalem to facilitate the ethnic cleansing of that region.During the Nakba (or Catastrophe) of 1948, whenever a village or a town was conquered, the militias would immediately demolish its wells to prevent the inhabitants from returning. Illegal Jewish settlers still utilize this tactic to this day.The Israeli military, too, continued to use this strategy, most notably in the first and second uprisings. In the Second Intifada, Israeli airplanes shelled the water supply of whichever village or refugee camp they planned to invade and subdue. During the Jenin refugee camp invasion and massacre of April 2002, the water supply for the camp was blown up before the soldiers moved into the camp from all directions, killing and wounding hundreds.Gaza remains the most extreme example of water-related collective punishment, to date. Not only is the water supply targeted during war, but electric generators, which are used to purify the water, are often blown up from the sky. And until the decade-long siege is over, there is little hope to permanently repair either of these.It is now common knowledge that the Oslo Accord was a political disaster for Palestinians; less known, however, is how Oslo facilitated the ongoing inequality under way in the West Bank.The so-called Oslo II, or the Israel-Palestinian Interim Agreement of 1995, made Gaza a separate water sector from the West Bank, thus leaving the Strip to develop its own water sources located within its boundaries. With the siege and recurring wars, Gaza’s aquifers produce anywhere between 5 to 10 percent of “drinking-quality water.” According to ANERA, 90 percent of Gaza water is “unfit for human consumption.”Therefore, most Gazans subsist on sewage-polluted or untreated water. But the West Bank should — at least theoretically — enjoy greater access to water than Gaza. Yet, this is hardly the case.The West Bank’s largest water source is the Mountain Aquifer, which includes several basins: Northern, Western and Eastern. West Bankers’ access to these basins is restricted by Israel, which also denies them access to water from the Jordan River and to the Coastal Aquifer. Oslo II, which was meant to be a temporary arrangement until final status negotiations were concluded, enshrined the existing inequality by giving Palestinians less than a fifth of the amount of water enjoyed by Israel.But even that prejudicial agreement has not been respected, partly because a joint committee to resolve water issues gives Israel veto power over Palestinian demands. Practically, this translates to 100 percent of all Israeli water projects receiving the go-ahead, including those in the illegal settlements, while nearly half of Palestinian needs are rejected.Presently, according to Oxfam, Israel controls 80 percent of Palestinian water resources, whereas the “520,000 Israeli settlers use approximately six times the amount of water that the 2.6 million Palestinians in the West Bank use.”The reasoning behind this is quite straightforward, according to Stephanie Westbrook, writing in Israel’s 972 Magazine: “The company pumping the water out is ‘Mekorot,’ Israel’s national water company. ‘Mekorot’ not only operates more than 40 wells in the West Bank, appropriating Palestinian water resources, Israel also effectively controls the valves, deciding who gets water and who does not.”“It should be no surprise that priority is given to Israeli settlements while service to Palestinian towns is routinely reduced or cut off,” as is the case at the moment.The unfairness of it all is inescapable. Yet, for nearly five decades, Israel has been employing the same policies against Palestinians without much censure or meaningful action from the international community.With current summer temperature in the West Bank reaching 38 degrees Celsius, entire families are reportedly living on as little as 2-3 liters per capita, per day. The problem is reaching catastrophic proportions. This time, the tragedy cannot be brushed aside, for the lives and well-being of entire communities are at stake. BEIRUT, (PIC)– An atmosphere of renewed tension has prevailed between representatives of the Palestinian refugees in Lebanon and the UNRWA following an abortive round of talks with the international body. Two months of talks between representatives of the Palestinian refugees in Lebanon and the UNRWA yielded very weak results because of the latter’s failure to provide solutions to several outstanding problems, including those with regard to its social and educational services. Moreover, the UNRWA refused during those talks to provide assistance to the Nahar al-Bared refugee camp and the Palestinians who fled the Syrian war to Lebanon. The dialogue between the two sides has come to a standstill after director of the UNRWA in Lebanon Matthias Schmale told the refugees’ representatives in the country that what the agency had promised to give the refugees with regard to the health care would be the only thing it could do for them. Consequently, the representatives of the refugees informed director of Lebanon’s public security Abbas Ibrahim about the results of their talks with the UNRWA, which were held under his auspices. Those representatives, who are from Palestinian factions and the popular committees in the Palestinian refugee camps, also threatened to resume their protest steps after the end of the holy month of Ramadan to pressure the UNRWA to respond to their just demands. Palestinian Authority President Mahmoud Abbas has rejected a European proposal to meet with Israeli President Reuven Rivlin while the two are in Brussels, Belgium, Palestinian and Israeli sources said. The proposed meeting with Rivlin was to be held at the invitation of the President of the European Parliament Martin Schulz. Meanwhile, Israeli public radio quoted sources in the Israeli president’s office as saying that while Abbas has rejected the initiative, Rivlin accepted it. Abbas and Rivlin are currently visiting the Belgian capital where they spoke before the European Parliament. Palestinian-Israeli negotiations were suspended in April 2014 after Israel rejected a clause to halt settlement construction and accept a Palestinian state on the 1967 borders with East Jerusalem as its capital. The Resistance Festival opened in Athens on Friday, 24 June, with strong support for Palestine and the call to free Bilal Kayed and all Palestinian prisoners. The Friday night opening event, “Free People in Free Countries,” featured speeches by Palestinian resistance icon Leila Khaled, Halklarin Demokratik Partisi (HDP) co-chair Figen Yüksekdag, and Puerto Rican scholar and activist Deborah Santana, as well as Marina Brescia of the festival’s organizing committee. Taking place at the Athens Agricultural University, the annual festival is sponsored by Greek newspaper Dromos. Before Leila Khaled’s arrival, the university faced strong pressure from the Israeli embassy and Zionist organizations to force the cancellation of the event; however, these attempts failed as hundreds of Greeks and international festival participants welcomed Khaled’s speech and participation. International guests and participants, including Yüksekdag, Santana, and Venezuelan ambassador to Greece Farid Fernandez, joined the call to free Bilal Kayed and the Samidoun delegation to the festival hung a large banner with the call for Kayed’s freedom. The theme of political imprisonment ran throughout the speeches of the evening, as Santana discussed the struggle of anti-colonial Puerto Rican political prisoners, particularly the campaign to free Oscar Lopez Rivera, and Yüksekdag addressed the attack on Kurdish and Turkish movements, mass arrests, and the struggle to free Kurdish and Turkish political prisoners from Turkish jails. Leila Khaled highlighted the struggle of Palestinian political prisoners within the international context of the struggle against imperialism and reactionary regimes. She carried greetings to the festival from imprisoned Popular Front for the Liberation of Palestine general secretary Ahmad Sa’adat. She particularly highlighted the case of Bilal Kayed, describing his imprisonment under administrative detention immediately following the scheduled expiration of his 14 1/2 year prison sentence, noting that Kayed’s PFLP comrades are currently engaged in a collective program of hunger strikes demanding his freedom, and that Kayed’s struggle is a point of mobilization for all Palestinian prisoners that needs the strongest level of international solidarity. She called for the freedom of all political prisoners around the world, saluting the Puerto Rican, Turkish and Kurdish prisoners and revolutionary prisoners internationally. Khaled also addressed the current Greek government’s rapprochement with Israel under Syriza, denouncing the government’s concessions to the European Commission, International Monetary Fund and big banks at the expense of the Greek people, as well as the government’s pursuit of a gas deal with Israel and the creation of pipelines and joint projects at the expense of the resources of the Palestinian people and the Greek people. She saluted the Greek popular support for Palestine as well as for current refugees from Syria and elsewhere, highlighting the warm and supportive role of the Greek people in supporting refugees’ rights, in contrast to the role of the government and the European powers in seeking to exclude, deport, and block the movement of migrants and refugees. ]She urged the broadest support and participation in the BDS (boycott, divestment, sanctions) movement against the Israeli state and institutions, highlighting the potential gas deal as a key point of mobilization. She concluded, saluting the international resistance and noting that Palestinians had been struggling for 100 years, and would keep up the struggle until true freedom and liberation. Leila Khaled’s autobiography, “My People Shall Live,” is being released in a new Greek-language edition at the festival; she will be signing books on Saturday and Sunday, 25 and 26 June at the Athens Agricultural University at 8:30 pm. Vice-president of the Syrian Coalition Muwaffaq Nyrabia said that the United Nations’ request for unconditional unhindered implementation of a plan for the delivery of humanitarian aid to besieged areas in July is an important step on the road to the full implementation of international resolutions on Syria. The UN Under-Secretary-General for Humanitarian Affairs Stephen O’Brien on Friday told the UN Security Council that the UN has submitted the July access plan to the Assad regime on 19 June, requesting access to over 1.2 million beneficiaries in 35 besieged, hard-to-reach and cross-line priority locations. The UN request that the Assad regime should allow to the implementation of the access plan for the month of July is consistent with the UN Security Council resolution 2254 which stressed that humanitarian issues must not be subject to negotiations, Nyrabia said. Nyrabia expressed hope that the delivery of humanitarian aid; stopping the Russian bombardment of Aleppo with incendiary bombs; putting an end to the Assad regime’s violations; and releasing detainees in the prisons of the Assad regime will pave the way for the resumption of negotiations next month in Geneva. The UN special envoy to Syria, Staffan de Mistura, on Thursday said that chances of resuming the Geneva negotiations depend on the delivery of greater amounts of humanitarian aid to besieged areas across Syria and on fewer violations of the truce agreement. Nyrabia reiterated support for the opposition’s High Negotiations Committee (HNC), adding that the Syrian people place their hopes on reaching a political solution that puts an end to their suffering and achieve their aspirations. The Syrian Coalition, rebel and FSA groups, representatives of the National Coordination Commission, and many independent national figures made it clear they will remain united behind the HNC and do whatever possible to support the opposition’s negotiation delegation difficult mission in Geneva, Nyrabia added.